Syllabus: Screening Test (OMR) for Asstt. Professor/Lecturer/Sr. Instructor/Librarian in Govt. Engg. 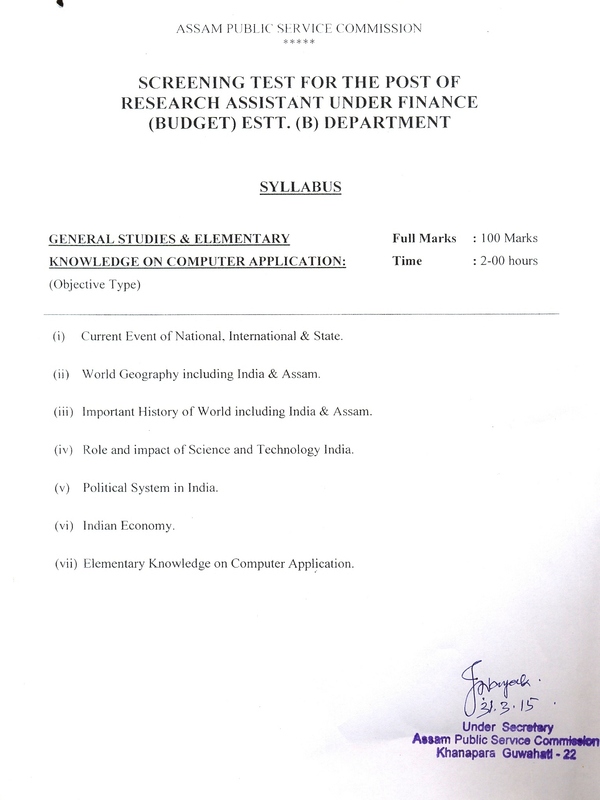 Colleges & Polytechnics of Assam under Higher Education (Tech) Deptt. 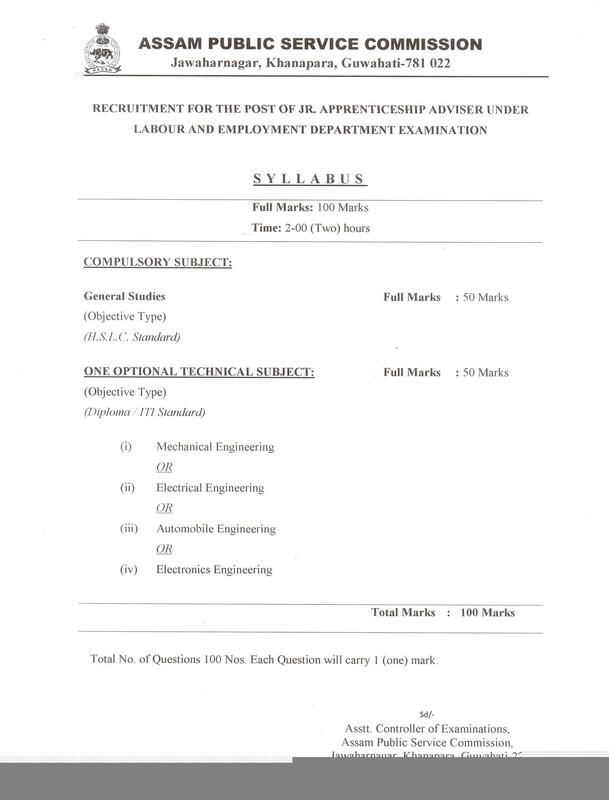 Syllabus: Written Examination for the post of BDO under P&RD Department. Syllabus: Screening Test for the post of A.E (IT) under PHE Deptt. Syllabus: Asstt. Engineer (Mechanical) in the Directorate of Geology and Mining under Mines and Minerals Deptt. Syllabus: Secretary in the Medical Colleges including the Nursing Colleges under H & F.W (B) Deptt. Syllabus: Recruitment to the post of Agriculture Development Officer under Agriculture Deptt.